Several classifications, often based partly on the location on the body of a pair of breathing pores (the stigmata), have been proposed for mites; these include various combinations of superorders, orders and suborders. 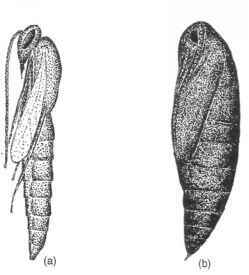 Mites (often cited as the Acarina) have also been regarded merely as an order within the Arachnida. Table 2 shows a relatively simple classification which maintains names familiar to many agricultural zoologists (for clarification, frequently used alternative names are indicated). Features of the main groups of mites of agricultural or horticultural significance in northern Europe are summarized below.